Gearing options finally come to the tiny people! While most kids' premium bike brands limit people to one-fits-all gearing, Spawn knows that terrain varies. Some places have hills. Some places have mountains. And kids are different. People need options, especially the little people riding the Spawn Yoji 14" and 16" bikes! 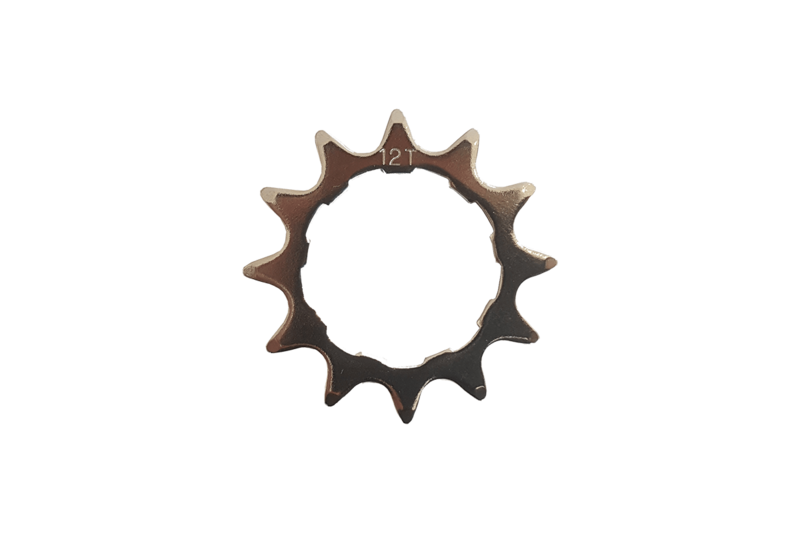 We've decided to offer a few rear cogs to make sure that kids get the gearing they need. A direct replacement for the 12t rear cog that comes stock on the Yojis as well as 13t and 14t options that will make the gearing 8.3% and 16.7% easier, respectively. Want to push harder gears - consider putting on a larger front chainring. Most 64mm BCD "granny" gears from the mountain bike world will fit the Yoji!